The Election Commission of India (ECI) on Tuesday said that the Congress party cannot approach the Supreme Court time and again and interfere in its functioning. 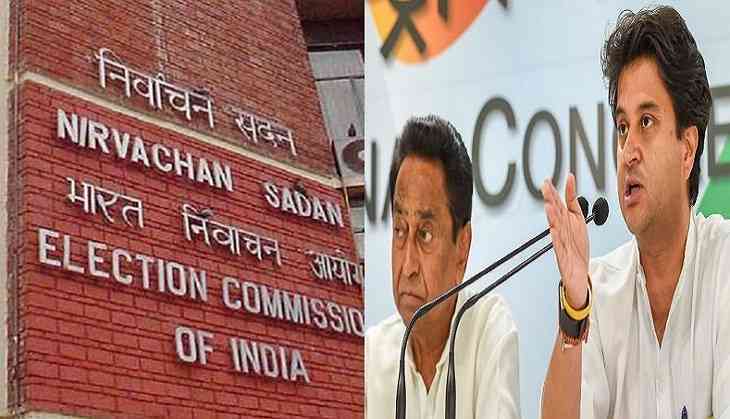 The submission was made in a counter affidavit filed before the apex court against Congress leader Kamal Nath's plea seeking transparency and accountability in the upcoming Madhya Pradesh and Rajasthan state assembly elections. The top court had earlier directed the ECI to file a response on the petition filed by Congress leader. The ECI, in its response, also contested that the Congress party cannot seek to instruct or direct the autonomous body to conduct elections in a particular manner. In the 101-page counter affidavit, a copy of which has been accessed by ANI, the poll body has asked for dismissal of the Congress' petition. "No valid and tenable grounds have been shown by the petitioner, Kamal Nath, to justify the grant of the interim relief (as prayed for) in his favour. Thus, the said petition sought to be dismissed outright," the counter affidavit read. In a previous hearing of the case, Congress leader and lawyer Abhishek Manu Singhvi, appearing for petitioner Nath had made claims about a large number of fake voters being registered in Madhya Pradesh electoral rolls. "There are 60 lakh duplicate voters in the state of Madhya Pradesh and thereby the Supreme Court should pass some direction in the matter," Singhvi had submitted in the apex court. The petition, filed on August 10, also sought the apex court's intervention demanding a direction to the ECI regarding compulsory cross-verification of Electronic Voting Machine (EVM) vote count with the Voter Verifiable Paper Audit Trail (VVPAT) in the Madhya Pradesh polls. The petition also pleaded to the apex court for a direction to the ECI and State Election Commission, to take effective measures to ensure free and fair polls in the state of Madhya Pradesh and Rajasthan. The legislative assembly election in Rajasthan will be held later this year to elect members of the 200 constituencies while Madhya Pradesh will go to polls next year.